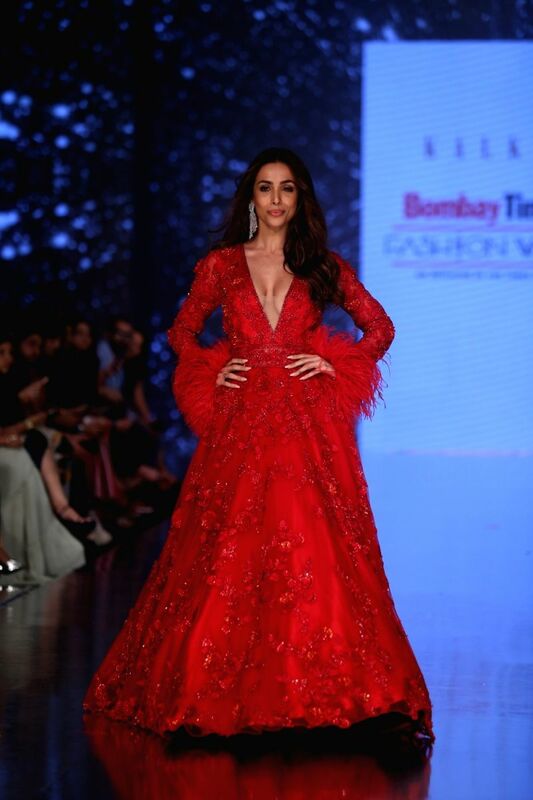 Bollywood actresses set new fashion trends at the Bombay Times Fashion Week 2019. 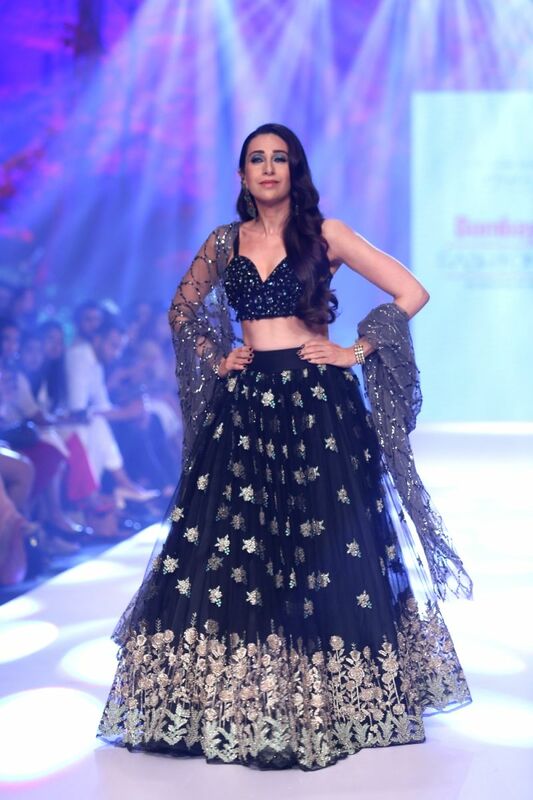 The Bombay Times Fashion Week 2019 has just been wrapped round recently and the designs worn by the Bollywood celebrities were the talk of the town. You couldn’t miss this collection. 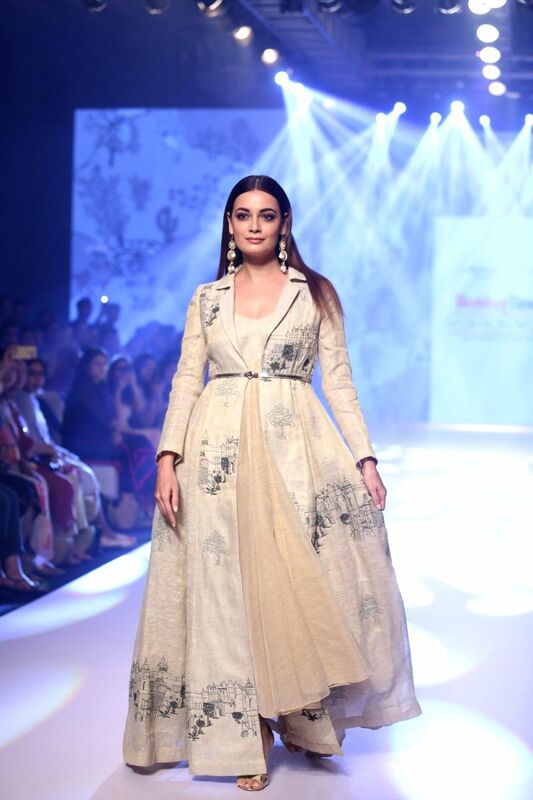 The show, Inheritance - An Ode to the Textiles and Embroideries of India, was in favour of the Cancer Patients Aids Association was conducted and many famous Bollywood celebrities joined hands for this noble cause. A lively, vibrant show and it contained a mix of quality, style, elegance and novelty in every type of wear. 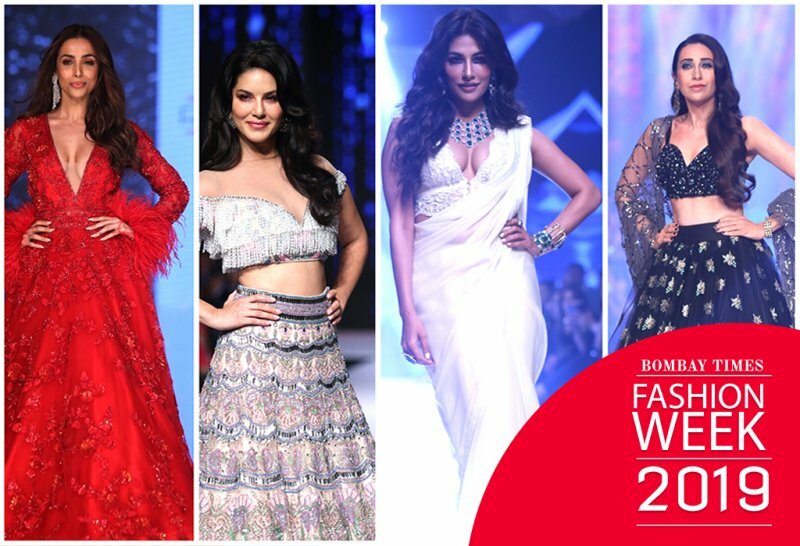 Walk along with us, as we display the ramp stunner designs worn by Sunny Leone, Malaika Arora, Dia Mirza, Karishma Kapoor and so many more. Malaika Arora turned up in this beautiful heirloom one piece dress that was laced with intricate designs, and her elegant, poised walk added more grace to the outfit. 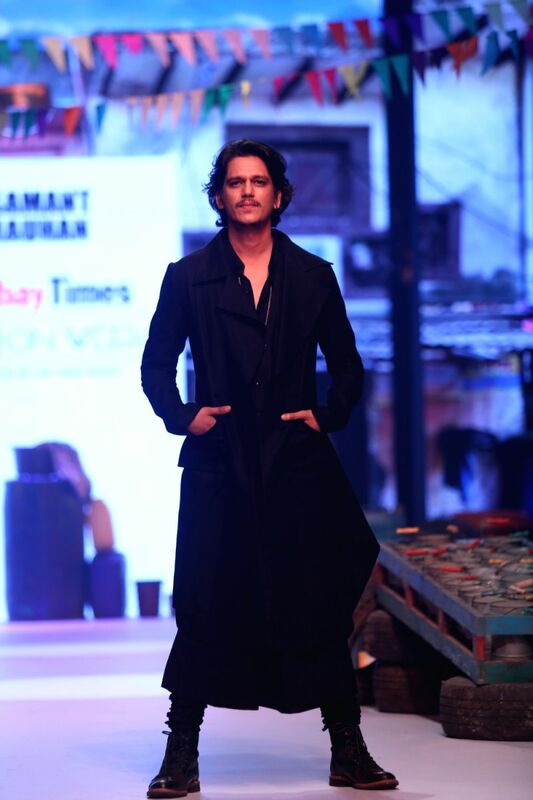 Author Nanda on the ramp! 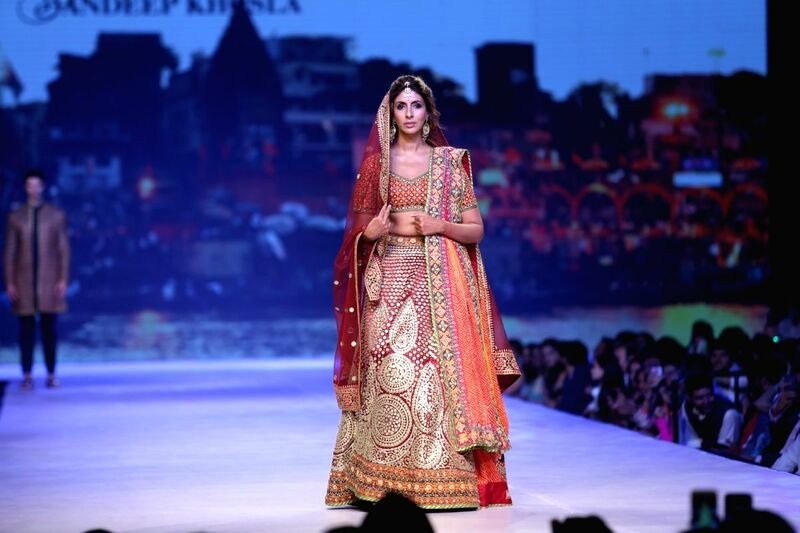 A recently turned author Shweta Bachchan Nanda (daughter of Amitabh Bachchan) walked for the creation of fashion designer duo Abu Jani and Sandeep Khosla. 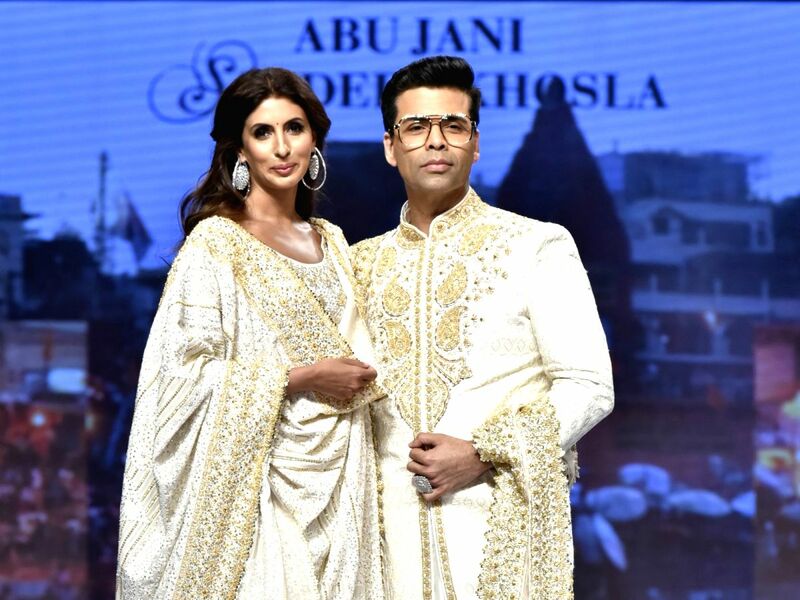 Author Shweta Bachchan Nanda and filmmaker Karan Johar joined hands to walk for another creation of fashion designer duo Abu Jani and Sandeep Khosla. 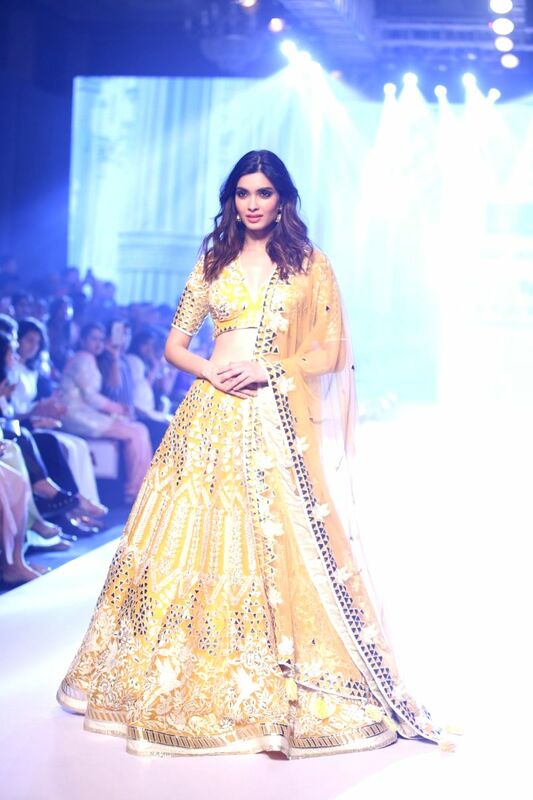 Sonam walked for a cause to fund for the Cancer Patients Aids Association. 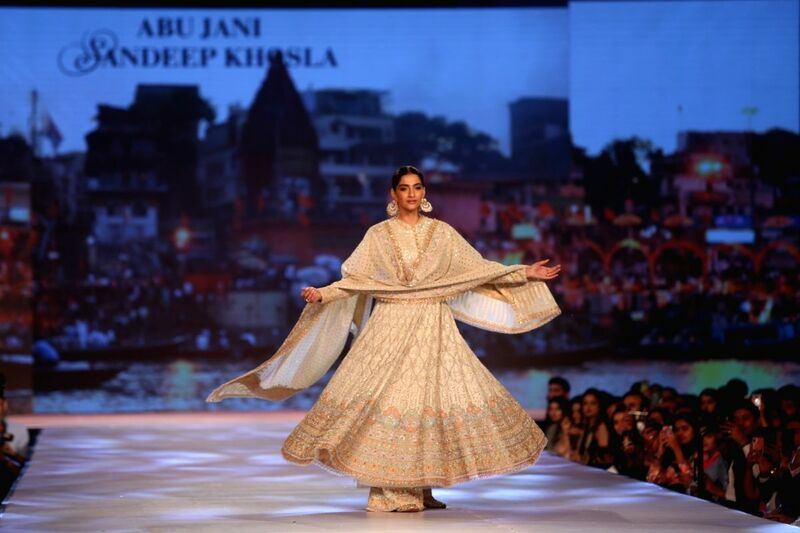 She confidently swirled in her ivory coloured chikankari lehenga paired with some traditional gajra. 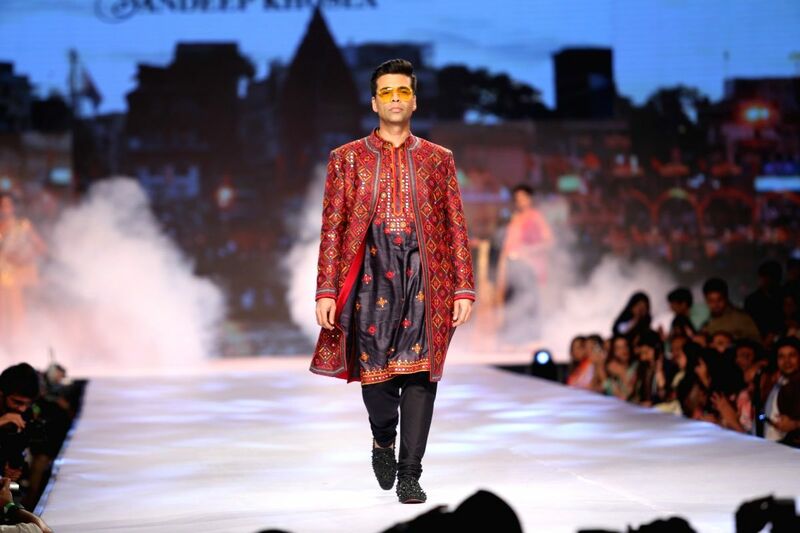 Karan Johar walked in a black chudidar topped with a blue banggala and decorated with uniform orange and red motifs. Yeh Hai Mohabbatein lady is all in smiles! Divyanka Tripathi showcased a collection of Horra Luxury with this one shoulder dress - and walked with confidence on the ramp. You just nailed that sporty look! Sunny Leone walked the ramp in this shimmery skirt that was delicately decorated with small designs and she topped it with a beautiful tassle rich blouse. 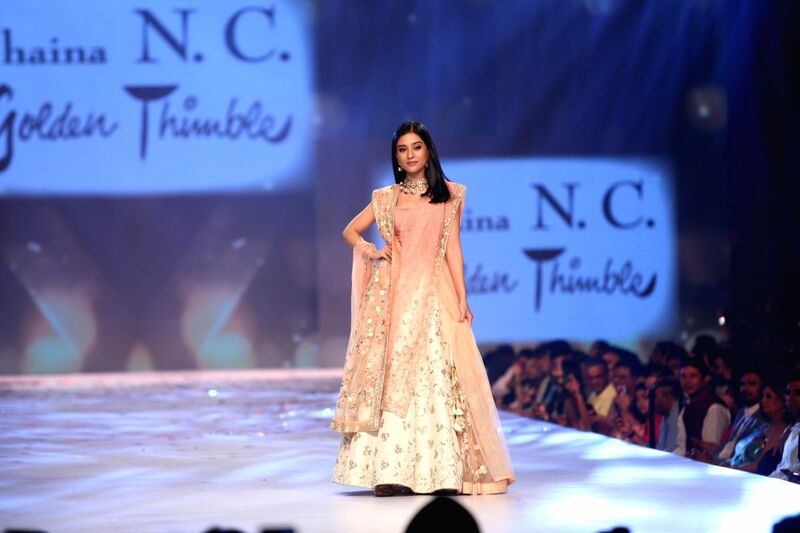 Preity Zinta showcases a creation of fashion designer Shaina NC and carried herself very graciously. That delicate feminine look never leaves her side, after so many years. She is indeed admirable! Is that an overdose of hotness? Chitrangada Singh looks fab in almost every attire you don her in. No wonder she is known as one of the most beautiful ladies in Bollywood. Why should gals get all the attention? 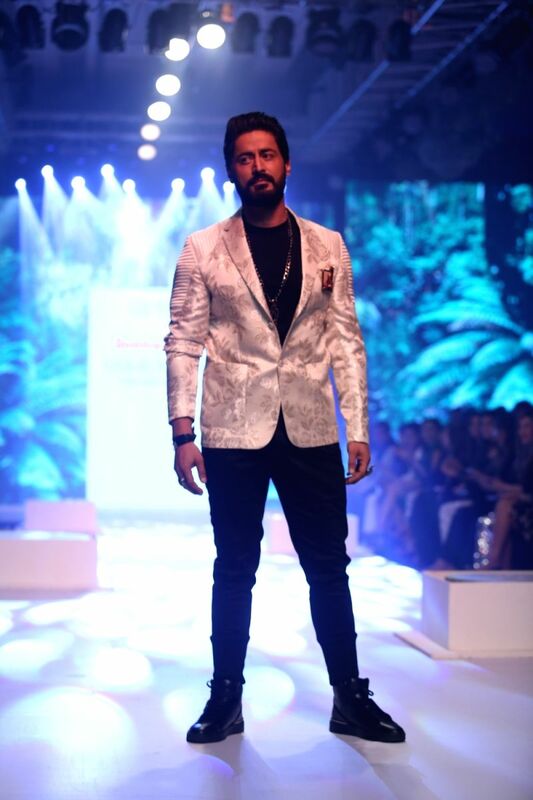 Mohit Raina looks dapper in this jacket!